Did you know that when you're not exactly someone who has a job, it makes it so much more interesting because you have all the time in the world to experiment with new things or gain new experiences? Yes, having been grounded at home for about 3 months to date (I do go out for lunches and dinners with friends, I am not an anti-social child!) has given me so much time in doing a lot more than what I have been doing before this. In fact, I've come to learn that there are so many things you could get from the internet and full around with Adobe Illustrator...if you just put your heart to it. Anyway, a recent project aside to the header for my blog was to create a portfolio for myself. 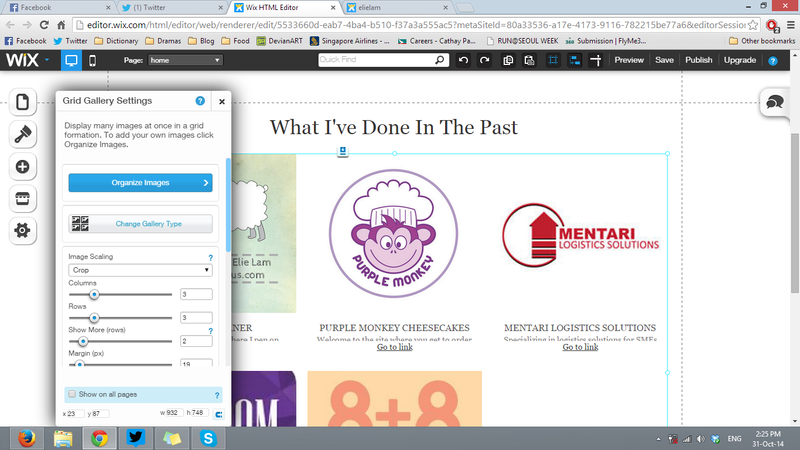 I figured that it sounded like the most fantastic thing ever but pushing it on Blogger felt a little cliche...which led me to Wix. Don't get me wrong, this isn't an advertorial and I highly doubt Wix would notice me for any bit of this but yes, I created a portfolio on Wix. Yes, I am on private browsing for this picture because the regular Chrome has my details logged in. For those of you who don't know Wix, it's a place where you could create your own website without the need to know coding and almost everything is just set for you to move around; colours are customizable and other little details such as buttons or shadows have also been looked into. 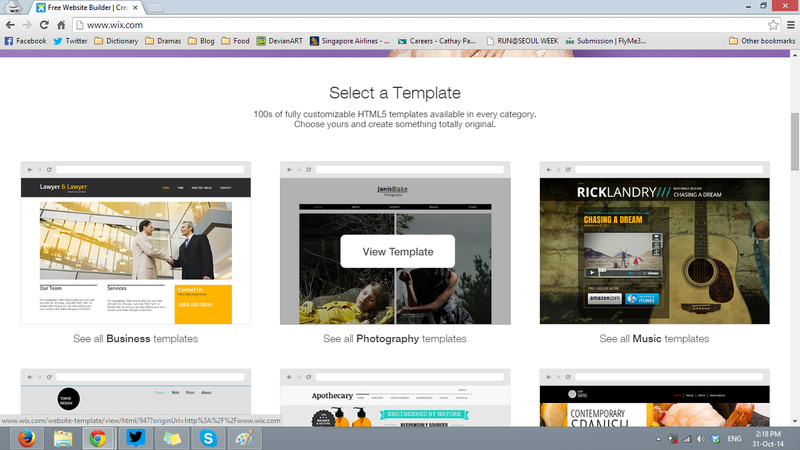 If you're lazy, there are even templates that you could pick from; be it free or premium and paid for. Pick your template and have some fun. 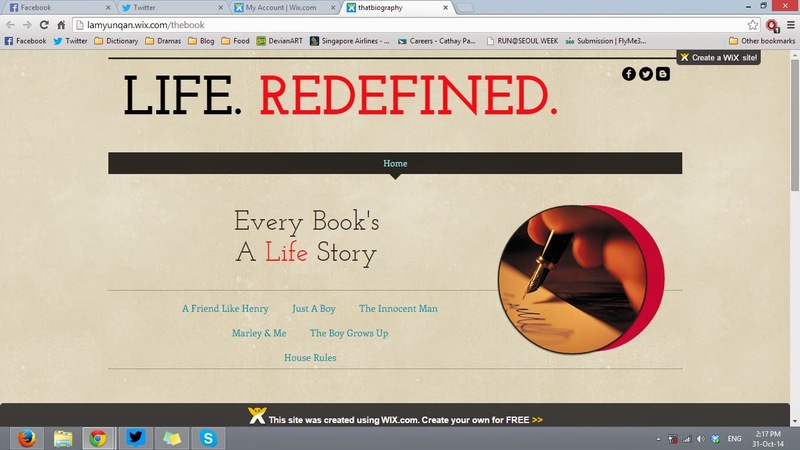 My first encounter with Wix was actually back in the last semester of my diploma where we were all assigned to create our website to feature our write ups, much like an online magazine. Our topics were niche and I picked out something I used to love doing: Reading books. This used to be my website. I suppose some people have come across issues with Wix such as saving matters (Cue Isabel who had the curse of a crashing Chrome and all her work just died along...) and what they would say are complicated uses, I found that it was fairly okay to deal with. And playful tries with colours, buttons, uploads and social media apps! The end result isn't exactly spectacular for my portfolio per say but I don't have a huge base to begin with. What I have are mini displays of things I have worked on and I thought that it would just look fairly decent to parade them all so I could one day look back and be happily proud of all that's been said and done. So yes, I now invite you to drop by http://lamyunqan.wix.com/elielam and leave me a hello message..because that's where I will try hard to strive and pick up more skills and improvise. 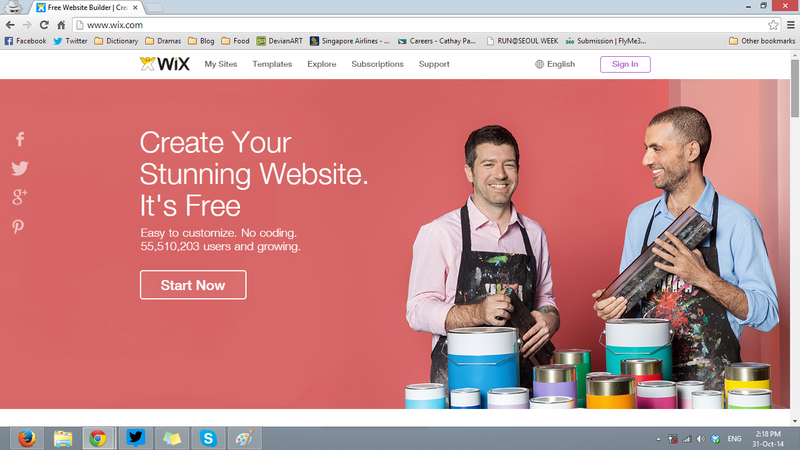 And if you're thinking about setting up a site, you should give Wix a try. It's free and you're just allowed to do almost anything! Unless your name is also Isabel; that I have no promises.